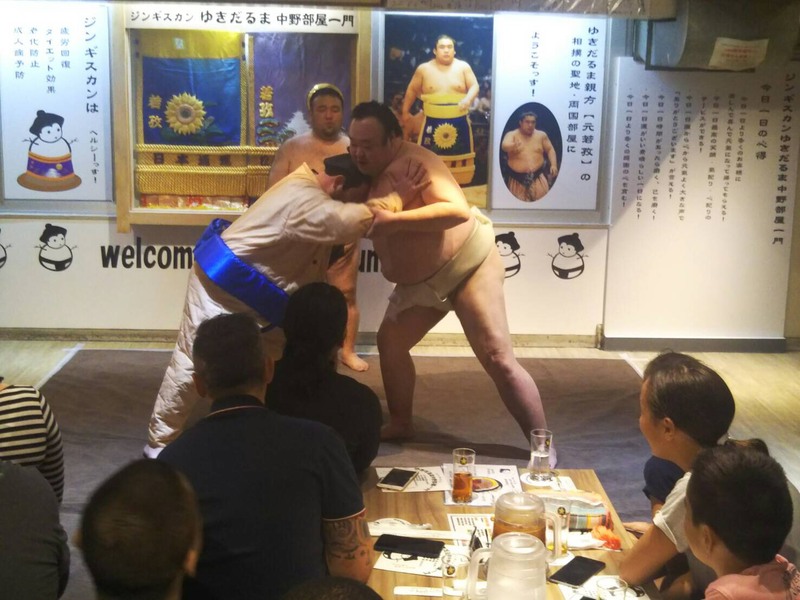 Learn the sumo world’s behind-the-scene stories and their daily life, and enjoy Chanko-nabe hot pot! 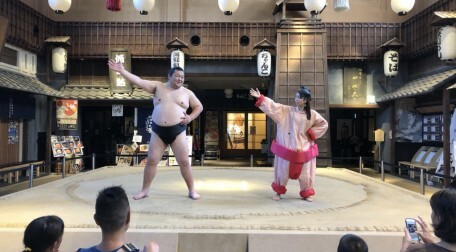 This is a very rare opportunity to actually play sumo with sumo wrestlers (retired). Let’s eat CHANKO-NABE (hot pot cooking) with a SUMO PERFORMANCE. You cannot experience this at anywhere else! You will hear accurate sumo knowledge and also have an opportunity to try CHANKO-NABE. (CHANKO-NABE: unique meal in the Sumo world). 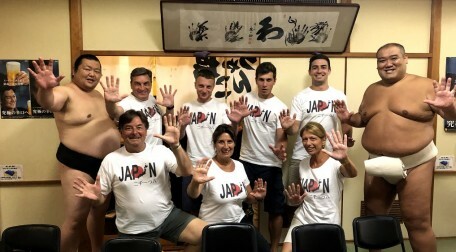 We hope you have great time and enjoy Sumo world. 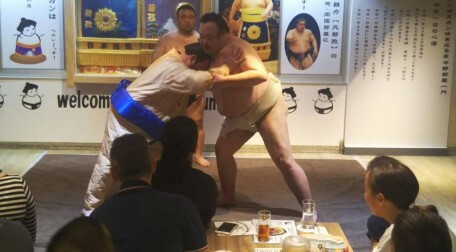 You will learn about sumo history, manner, training, the real match and so on with explanations in English. 1. Explanation about fundamental actions by two wrestlers (they were real sumo wrestlers in the past). *Guests need to wear a costume which is prepared. 5. Souvenir Photo with them! *Demonstration contents may be changed due to a condition. Eating CHANKO-NABE (hot pot cooking) is a healthy and nutritionally balanced diet. Why can sumo wrestlers grow so much even if they eat such a healthy meal? It is because they eat it with a huge amount of rice and they train hard every day. ・CHANKO-NABE（hot pot cooking) ※CHANKO-NABE cooked by staff used be sumo wrestlers. Menu may change by season. Please do let us know at least 2 days prior to your tour date, if you have any food restriction or allergy. We cannot arrange a vegetarian or special meal option on the day of your activity. *5,400 Yen for children under 11 years old. Condition – Please advise us, in advance, if there are any religious or health restrictions, allergies, or any case where special care is needed when you ask us for availability.